Jared Unzipped: It's Time To Kill The Laugh Track. You're watching a comedy program on television. The characters are conversing back and forth, trading one witty comment after another. With every joke and one-liner spoken, suddenly an invisible audience begins to laugh, whistle and holler. Where the hell did that 'canned' laughter come from? What you just heard is called a laugh track, and it has been around since 1950. Created by sound engineer Charles Douglass, the laugh track is a marvel of television production. In use for nearly seventy years, the laugh track has touched nearly every aspect of comedic programming in the United States. From Hogan's Heroes to I Love Lucy, to Taxi and Cheers... a plethora of television shows have all used laugh tracks. In fact, many modern programs like The Big Bang Theory employ the laugh track to dramatically punch up their studio audience reactions. I'm here to tell you... it's time to kill the laugh track. I can understand the laugh track's use in the early days of television. 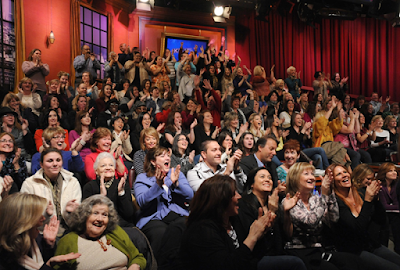 Programs were filmed live before a studio audience. If there were multiple takes of a scene during filming, there would be continuity gaps between the takes. Obviously, as a scene was filmed two, three, four times or more, the audience would stop laughing at the same jokes being repeated. To make the takes blend together in a seamless scene, the laugh track of prerecorded laughter would be inserted to bridge the inconsistencies. 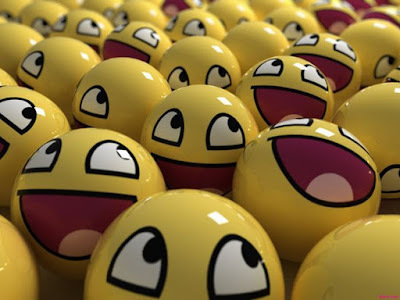 As television progressed through the 1960's and early 1970's, many programs came to rely upon the laugh track heavily, often for pure comedic effect in their own right -- The Munsters, Scooby-Doo and Gilligan's Island were notorious for this. Other times, the laugh track would facilitate the total illusion that a program was filmed before an audience, when in fact it was recorded on a small, closed sound stage with no audience at all. As television evolved to present more relevant social and political themes in the 1970's, many producers thankfully tried to avoid the use of the laugh track in their comedies. Instead of speaking down to their viewers, they wanted the home audience to think and laugh on their own accord. The laugh track had been used to tell viewers "when to laugh" for so long... much to the detriment of viewers' critical thinking ability. Garry Marshall's The Odd Couple used a laugh track during the first season due to network pressure, much to the chagrin of stars Jack Klugman and Tony Randall. They demanded that the program revert to being recorded before a live studio audience. By the second season, Klugman and Randall had won out; the laugh track was removed and all laughter heard was genuine. Producer Norman Leer employed the same approach to All In The Family, which was also recorded before a live audience during all but its last few seasons. The laugh track is offensive and obtrusive in multiple ways. Chiefly, it inserts a pause in the natural flow of character dialogue to prompt the audience to laugh and applause at a joke. This does not take into account whether the joke was decent or funny. Instead of letting a scene progress at a normal pace, actors must create gaps between their lines to provide space for post-production laughter to be inserted. In reality, who talks like that?! Another irritating aspect of laugh tracks is that they introduce a totally foreign element to the program. The laughter isn't from characters in the program itself, nor is it a sound effect caused by an item or action in a scene. Instead, the laugh track is glazed over the program like fungus growing on a rock. It's unnatural and often times distracting from the program's content. I've lost count the number of times I've yelled at a television program because a laugh track attempted to convince me that a joke was funny, when it was truthfully dull or uninspired. It took my attention away from the actors and their scene. That's simply not funny. We should expect more from ourselves and the content that we consume. Watching comedies on television that don't cue us when to laugh is a profound first step in that direction. Consider this scene below, for example. Admittedly, I have watched The Big Bang Theory for many years. Yet, as the show has aged, the jokes have become more rudimentary and predictable. The characters haven't experienced any real personal growth, much to my displeasure. The situations that the characters find themselves in are a little more stale and tiresome. If not for the characters being quirky themselves, short of any potential comedic situation, I'd probably not watch the program any more. As they continue to employ a laugh track to highlight a joke, my disillusionment with the show broadens. Watch this scene and understand what the show would be like if the laugh track wasn't used. It becomes blatantly clear that The Big Bang Theory is crafted a fair amount of the time around the laugh track, and not vice versa. Without the laugh track, the show would present as hollow and boring. If anything, the laugh track adds a sense of life and not comedy. Here's another show that I watch essentially for the characters and not the jokes, which are quite terrible at times -- 2 Broke Girls. The video's editor has removed the laugh track. Perhaps more so than The Big Bang Theory, this show relies almost exclusively on a laugh track to deliver its comedy. The laugh track makes you feel like it's funny, when it almost certainly isn't. Here's an edited version of Friends with the laugh track removed. I have never liked Friends, but the absence of the laugh track really drives home how terrible this show actually is. So what does this all mean? The laugh track has to go. It's ravaging programs with plenty of potential, thanks to their interesting characters, and dropping them into a vapid echo chamber without any sort of comedic integrity. Writers shouldn't rely on the crutch of a laugh track to support their creations. As viewers, we're smarter than this. Shouldn't the programs that we watch be crafted with that same sense of wit and intelligence? Let comedy stand on its own two feet. Otherwise, programs developed to serve a laugh track are nothing more than terrible prop comedy.